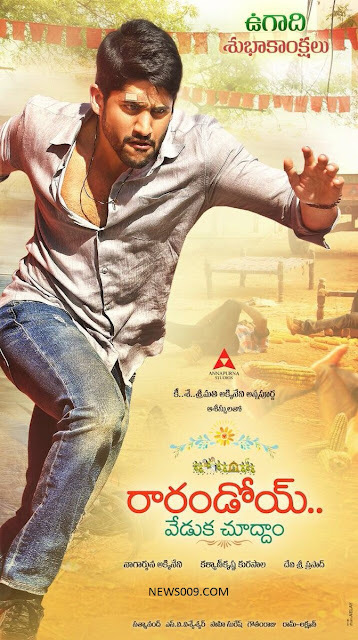 Naga Chaitanya Rarandoi, Veduka Chudham, Telugu Movie First Look, Motion Teaser, Posters. 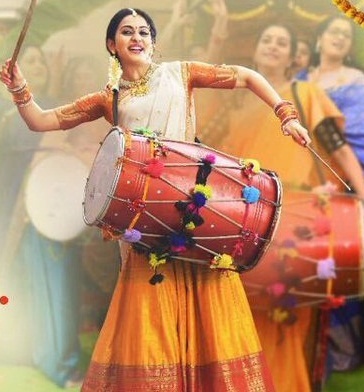 Rarandoi is naga chaitanya new movie, Rakul preet is acting as female lead. This is directed by kalyan krishna who is posani krishna murali assistant and soggadi chinni nayana director, Who's debut is super hit with nagarjuna which collected highest in nagarjuna career which is 40+ crores. Nagarjuna's son's akhil and chaitanya are doing films with nagarjuna's hit directors like kalyan krishna and vikram kumar who gave hits like manam and 24 with surya. Poster's tells that it can be village background family film with little action like soggadi chinni nayana. Movie is producing by nagarjuna, Fights by ram lakshman and editing by gowtham raju.